It is the law of the Economy of Communion, invented by Chiara Lubich. Near Florence, there is a business center that, believe us, divides their profits into three equal parts: for reinvestment, for charity and for formation. Let´s see if it actually works. Do you want your business to grow? Allot a third of your profits to the poor, a third as reinvestment in your business and a third to formation of a new humanity. It is the rule of the Economy of Communion (EoC), a business model thought of by Chiara Lubich - the same woman who founded the Focolare Movement - and which is applied at Loppiano, in the province of Florence. Here, for more than three years now, a center of 23 businesses is following this rule with results that continue to grow despite the crisis. In October, at Loppiano, the Poli-Ambulatory Risana and the headquarters of the Valdarno Industrial Associations were opened. In theory, it works like this: the businesses share their profits with the community - and in particular with those in need - and in exchange they receive such a motivational push that makes them more productive and more profitable. This is how they are able to maintain a completely transparent production process with regard not only to the law but also to persons and the environment. In reality, these businesses, thanks to their ethical images, have access to a system of relationships and financial support that allows them to balance their budget. 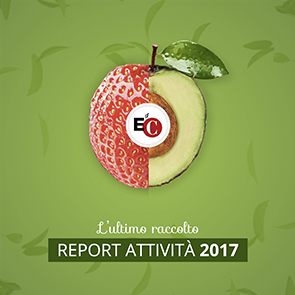 In 2009, more than half of the funds managed by the EoC project were personal contributions given specifically for volunteer projects, and around Loppiano, the Focolare Movement received a donation of more than 200 hectares of land. In the words of Alberto Ferrucci, former vice-president of ERG, a petroleum refinement firm, and current member of the international commission of the EoC, "Many times in our relationships with people, more than the battle for price, we fight for appreciation for the work we do. The fact is that not only do people live better when they are surrounded by people that care for them, but they also find new opportunities for development." The Lionello Industrial Park houses businesses coming from the most various sectors, both stores as well as construction, insurance and manufacturing companies. A merchant banker also works here. Mauro Bracci, previously an insurance agent, said, "In working for commission, you risk that it leads you to neglect customer service, and I wanted to escape from the pressure of insurance to do something more noble...so when the Polo started, I began to collaborate with Banca Etica. It was their first experience of financing a reality foreign to the non-profit world. Instead, today, we have a credit card dedicated to the EoC: the bank allocates these commissions to formation projects of the movement." This is not the Economy of Communion´s only contact with the financial world. On the contrary, throughout the world, the EoC managements different microcredit activities and counts among its businesses the third largest agricultural bank in the Philippines. To put these in contact with one another, a new website was recently launched in the United State that presents a map of the businesses and initiatives for exchange and partnership. This sharing is an important part of the project, and 16% of the profits allocated to the poor go towards creating new jobs, or in other words, sustaining troubled businesses, like the Tassano Cooperative of Sestri Levante. "For us, learning to be together is fundamental," explains Paolo Maroncelli, delegated administrator of E. di C. Spa, the joint-stock society that manages the Polo. "Living the Economy of Communion project is a lifestyle and culture of giving that can only be built together." Maroncelli has no doubt as to movement´s true strength: "We always say that we have a hidden shareholder," he confided, "the Eternal Father, and believing in Providence has always helped us. For example, one of the businesses here is Azur, which produces products for babies, like cradles and strollers. Last year, it went through a very difficult moment because it has very fierce competitors and high costs. It makes everything in Italy and pays the highest attention to the needs of the baby. But Azur continued to believe in it´s unique quality and focused on "Made in Italy" as marketing leverage. It already has more orders and its turnover has increased. We have seen a number of similar experiences." How can a business that allots a third of its profits to the needy and a third to formation be competitive? Today, to be competitive, one needs to innovate. Now, when the worker sees that his business is capable of uniting efficiency and solidarity, he gives the best of himself, he is more motivated and more innovative. His gives his strength voluntarily because he lives his work well. That is why the businesses of the Economy of Communion are successful and are able to sustain high productions costs, as they do not exploit their workers, evade taxes and pollute. Why does the encyclical Caritas in Veritate speak of the Economy of Communion (EoC)? The EoC is an example of business that is able to unite production of income with redistribution. It shows that erroneous nature of the conviction according to which, in the business world, it´s only necessary to look at efficiency, while leaving the social dimension to the state. The EoC is not the only business model that joins efficiency with solidarity. Cooperatives, for example, arose in the 1800´s with these objectives, and today there are social enterprises and experiences of commons based peer production. My prediction is that, in the future, the various types of businesses that give alternatives to capitalistic businesses will grow, because that model is sinking everywhere. Do you believe in development of the EoC outside of the Focolare environment? The EoC model is very much linked to the Focolare spirituality. It defines itself as a "prophetic minority" that exerts responsive action, a type of bell that rings to attract the attention of entrepreneurs towards the possibility to unite efficiency with solidarity. It does not want to win-over all businesses. On the other hand, neither is it only prophetic. Can business activity be based on gift, as is done in the Economy of Communion? An economy of gift can work as long as it transforms itself in an educational fact and is long-enduring. It can give brilliant results in the fight against poverty. However, in order to be decisive, there must be choral action, and for this to happen a small juridical and cultural revolution is necessary . While balance sheets continue to have certain rules, businesses oriented towards collective well-being have their hands tied. Different legislation is necessary as well as a new mentality, one that is more elastic and ready to receive and face the system´s defects. Today, a business that looks towards solidarity is in itself incompatible with the financial system. I´ll give you an example: let´s take a foods business that suffers an excess of productive capacity. It might be interested in producing more and donating its products to needy communities, with evident social profit. But, if it does this, this business would fail because its costs would be higher than its earnings. For it to be able to keep itself on the market, we have to imagine that this business, precisely because it decides to help troubled people, could enjoy a very concrete system of relationships and financial support that helps it balance its account. In our (current) economic model, in fact, a business that doesn´t balance its books cannot stand on its feet and that is why the ethical plane detaches itself from the economic one - they conflict. Embarking togetherThe Lionello Industrial Park houses businesses coming from the most various sectors, both stores as well as construction, insurance and manufacturing companies. A merchant banker also works here. Mauro Bracci, previously an insurance agent, said, "In working for commission, you risk that it leads you to neglect customer service, and I wanted to escape from the pressure of insurance to do something more noble...so when the Polo started, I began to collaborate with Banca Etica. It was their first experience of financing a reality foreign to the non-profit world. Instead, today, we have a credit card dedicated to the EoC: the bank allocates these commissions to formation projects of the movement. "This is not the Economy of Communion´s only contact with the financial world. On the contrary, throughout the world, the EoC managements different microcredit activities and counts among its businesses the third largest agricultural bank in the Philippines. To put these in contact with one another, a new website was recently launched in the United State that presents a map of the businesses and initiatives for exchange and partnership. How can a business that allots a third of its profits to the needy and a third to formation be competitive?Today, to be competitive, one needs to innovate. Now, when the worker sees that his business is capable of uniting efficiency and solidarity, he gives the best of himself, he is more motivated and more innovative. His gives his strength voluntarily because he lives his work well. That is why the businesses of the Economy of Communion are successful and are able to sustain high productions costs, as they do not exploit their workers, evade taxes and pollute. Why does the encyclical Caritas in Veritate speak of the Economy of Communion (EoC)?The EoC is an example of business that is able to unite production of income with redistribution. It shows that erroneous nature of the conviction according to which, in the business world, it´s only necessary to look at efficiency, while leaving the social dimension to the state. The EoC is not the only business model that joins efficiency with solidarity. Cooperatives, for example, arose in the 1800´s with these objectives, and today there are social enterprises and experiences of commons based peer production. My prediction is that, in the future, the various types of businesses that give alternatives to capitalistic businesses will grow, because that model is sinking everywhere. Do you believe in development of the EoC outside of the Focolare environment?The EoC model is very much linked to the Focolare spirituality. It defines itself as a "prophetic minority" that exerts responsive action, a type of bell that rings to attract the attention of entrepreneurs towards the possibility to unite efficiency with solidarity. It does not want to win-over all businesses. On the other hand, neither is it only prophetic. Can business activity be based on gift, as is done in the Economy of Communion?An economy of gift can work as long as it transforms itself in an educational fact and is long-enduring. It can give brilliant results in the fight against poverty. However, in order to be decisive, there must be choral action, and for this to happen a small juridical and cultural revolution is necessary . While balance sheets continue to have certain rules, businesses oriented towards collective well-being have their hands tied. Different legislation is necessary as well as a new mentality, one that is more elastic and ready to receive and face the system´s defects. In what way? Today, a business that looks towards solidarity is in itself incompatible with the financial system. I´ll give you an example: let´s take a foods business that suffers an excess of productive capacity. It might be interested in producing more and donating its products to needy communities, with evident social profit. But, if it does this, this business would fail because its costs would be higher than its earnings. For it to be able to keep itself on the market, we have to imagine that this business, precisely because it decides to help troubled people, could enjoy a very concrete system of relationships and financial support that helps it balance its account. In our (current) economic model, in fact, a business that doesn´t balance its books cannot stand on its feet and that is why the ethical plane detaches itself from the economic one - they conflict.